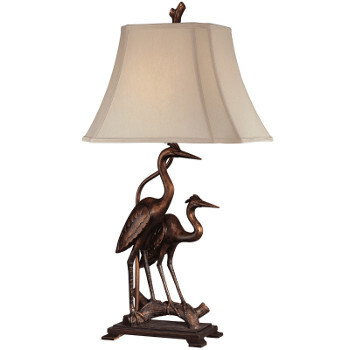 Our collection of beach lamps feature coastal designs with beach style. This coastal lamp base is features a pair of herons. It is a stylish antiqued looking piece that provides a sophisticated coastal accent for any room.